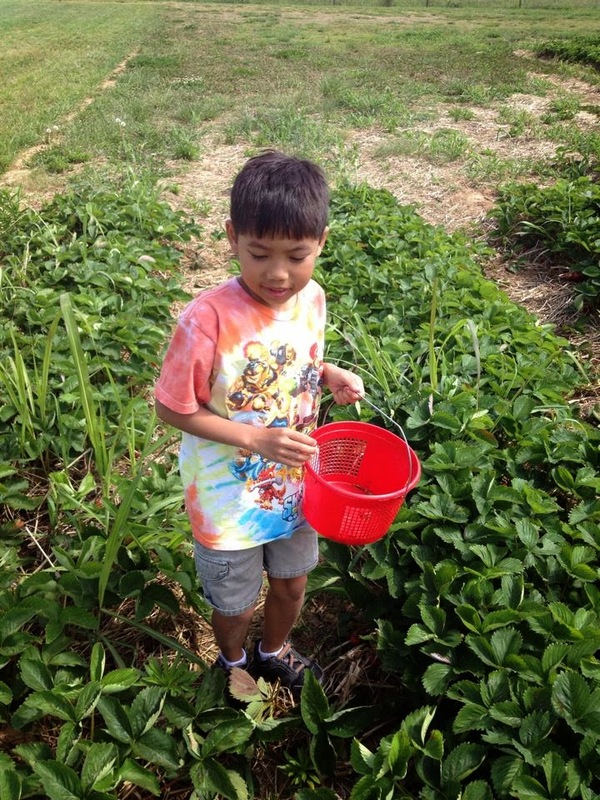 I don't remember ever going strawberry picking as a child, but since we have moved to Tennessee, strawberry picking has become one of our favorite past times. 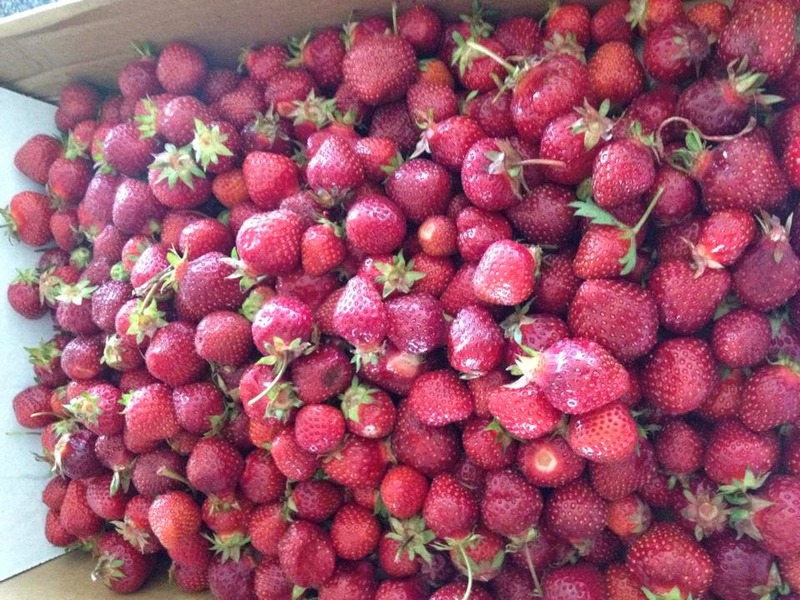 Fresh strawberries are so much better than anything you can buy in the grocery stores. 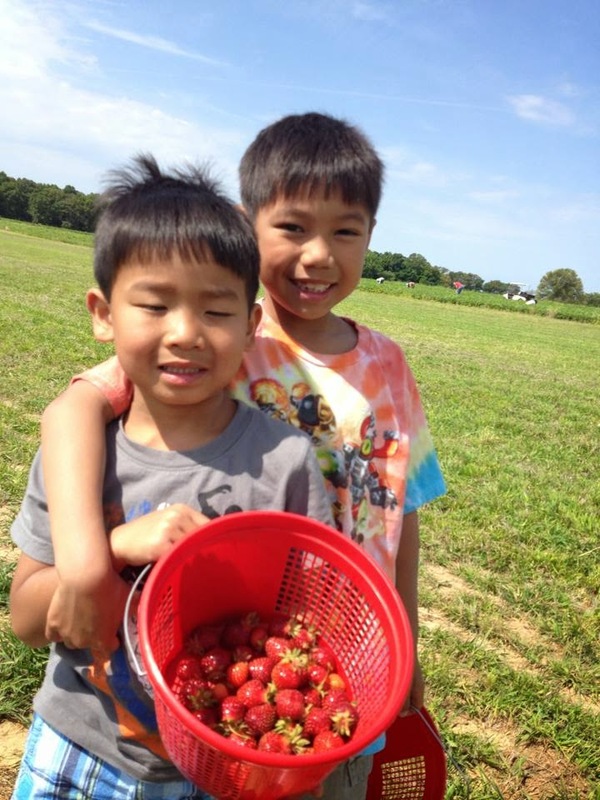 The boys love finding and picking strawberries. 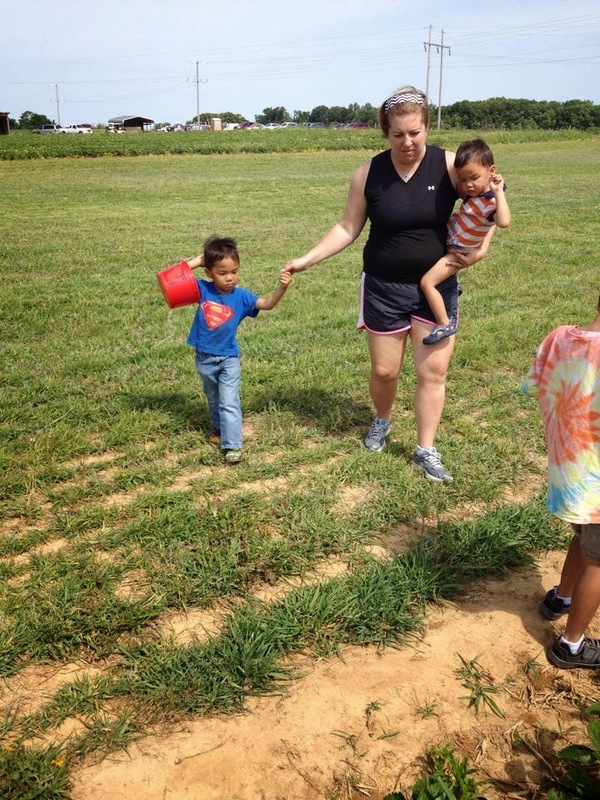 We all went out strawberry picking one Saturday morning. 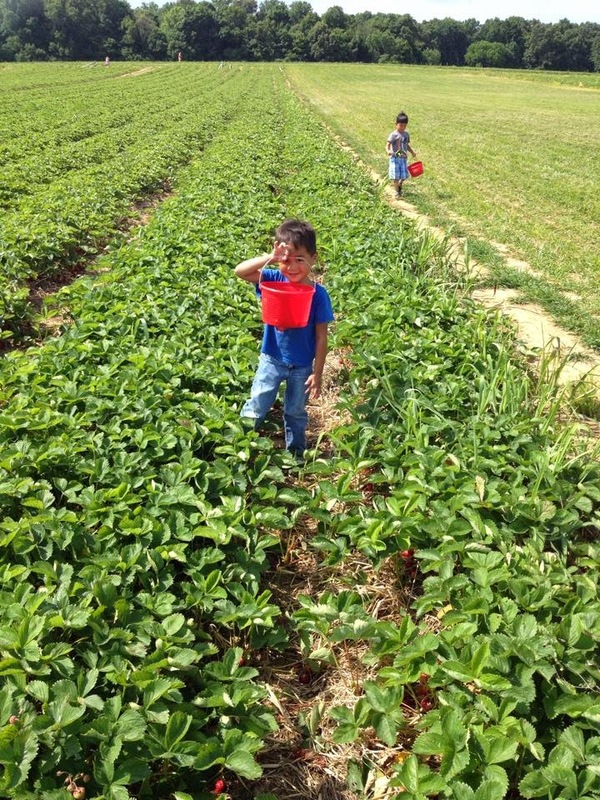 I think the boys enjoy eating the strawberries as they pick them as much as they enjoy picking them. 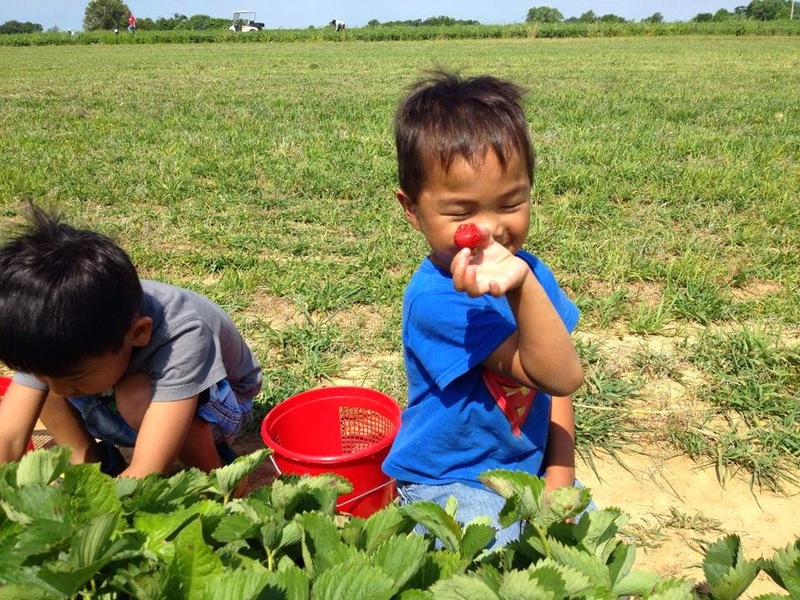 Reed has become a professional strawberry picker after so many years of practice. Sweet brothers. These two guys love each other so much. They are best buddies. 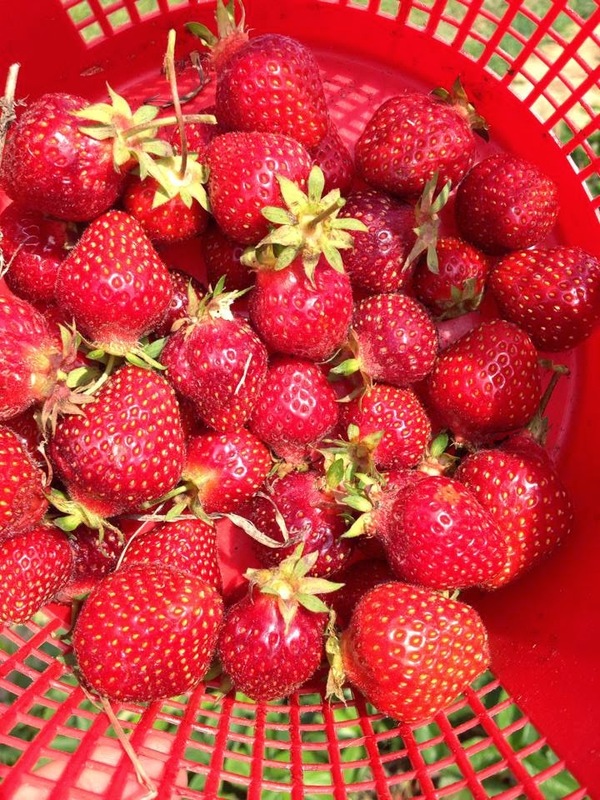 Because Abbey had already gotten her main stash of strawberries, we just picked a few on this strawberry hunt. Abbey made some delicious strawberry freezer jam. Just like Mrs. Mazella's. 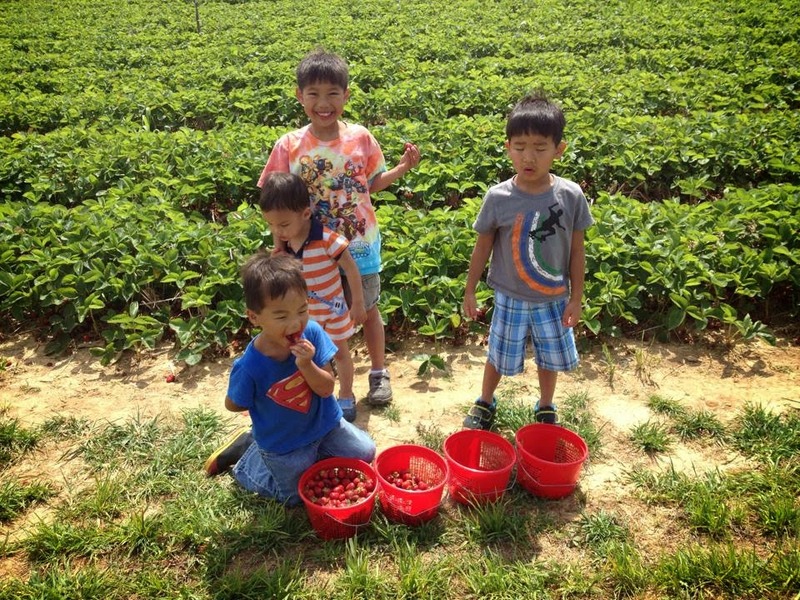 We are a pro-strawberry family. Maybe if you come and visit us, we will have fresh sourdough bread and strawberry jam.